Very few things get us more excited than hearing the words “Spyderco Sprint Run”. One of those few things is hearing the words “New Bob Lum from Spyderco”. Well, we couldn’t be more excited than today because we got in the new Lil’ Lum Sprint Run from Spyderco! 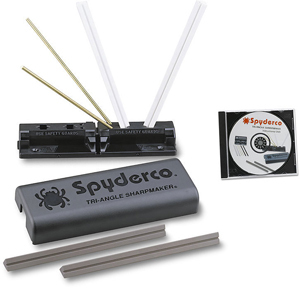 Click here for more information on this limited edition Spyderco. The Japan made X-Ray series is about as good as it gets for quality, versatility and price in the SOG folder category. We particularly like the mini because of its sweet spot 4” closed size–and because right now we have it for almost half off! Click here to check out the full details. The Cricket may be small, slender, and lightweight, but it boasts the kind of rugged build you’ve come to expect from Spyderco’s Japanese-made folders. It’s a robust little knife that packs in a surprising amount of cutting power for its size, and makes an unobtrusive EDC for those who prefer to carry a low-profile folder. Click here for the full details on this knife. Cold Steel and custom knifemaker Andrew Demko are at it again, with a new knife that’s going to whip you into a Frenzy. The Cold Steel Frenzy is the kind of overbuilt, hard-use knife you’ve come to expect from that Demko sensibility, but with a sleek, vicious appearance that makes this one of the most exciting new Cold Steel releases. Click here to learn more about this knife. The SOG Mini Vulcan is a tough-as-nails Japanese-made tactical folder with VG-10 stainless steel, and for a limited time you can snag one for almost 50% off! Click her for the full details. 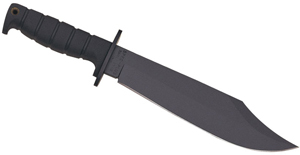 The Recon Tanto is as old school a Cold Steel as anything they still make. Getting one in VG1 steel that was made in Japan is even more authentic. Now dropped from the Cold Steel 2017 lineup, we have this classic combat knife at an amazing closeout price! Click here to learn more about this knife. 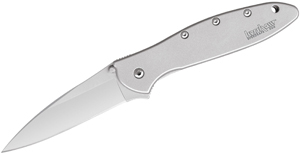 Fresh from Kershaw’s Tualatin, Oregon factory comes the all-new Dividend, a sleek, slim EDC with clean lines and classical styling. The appearance is distilled from Kershaw’s Link design, but this smaller, and dare we say more elegant, variation may just be our new favorite Kershaw. Click here to learn more about these two knives. If you’re in the market for a machete, now’s your chance to snag one of three awesome options from Condor Tool & Knife for over 50% off! Click here to check them out. Here’s a knife that truly needs no introduction. The Ken Onion Blur is one of the best assisted-opening EDC-worthy folders on the market period – let alone in this price range. Last year Kershaw started putting out camo variants of some of their classic knives, like the Leek, and we instantly fell in love with the way that style suits the Blur’s utilitarian frame. Click here to learn more about this knife.